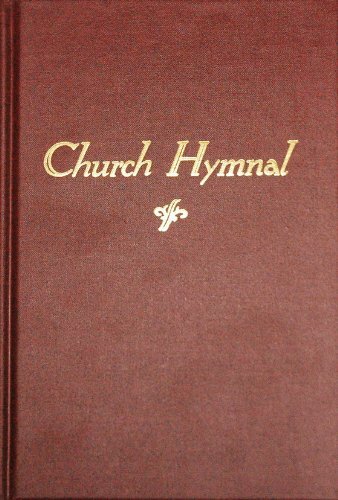 Christian hymns began as early as the time of Jesus according the King James version of the Bible as seen in Matthew 26:30 which states " And when they had sung an hymn, they went out into the mount of Olives." The New Jerusalem Bible states "After the psalms had been sung they left for the Mount of Olives" which is evidence that the first hymns began at the very onset of Christianity. Catholic churches of today sing hymns dating from the 4th and 5th centuries, with St. Hilary of Poitiers writing "Jesus refulsit omnium” a very early Latin hymn. St Ambrose who is one of the founders of Western church music wrote a number of hymns as a way to express Catholic beliefs. Benedict of Nursia, who founded the Benedictine Monks, translated hymns of that time into Latin and chanted them. Pope Gregory directed that the "chants" be collected and preserved resulting in the Gregorian Chants of today. In these early times, the priest and a male choir provided the music and the congregation did not sing. In the 16th century, the Protestant Reformation reformed music in the Churches by translating hymns from Greek and Latin into the language of the people. Different reformists provided unique styles, beginning with the English who used primarily the Psalms to develop their Christian hymns such as "The Lord's My Shepard" which is Psalm 23. In Germany, Martin Luther based his hymns such as " A Mighty Fortress is Our God" on scriptural teachings. look inside Best-Loved Hymns - Easy Piano Easy Piano. Arranged by Dan Fox. Dan Fox Easy Piano. Hymns and Gospel. Songbook (simplified arrangements). With vocal melody, piano accompaniment, lyrics and chord names. 48 pages. Published by Hal Leonard (HL.364196). In the 17th century, England's Isaac Watts moved beyond setting the Psalms to music, and composed such Christian hymns as "O Bless the Lord, My Soul" and "Joy to the World". Charles Wesley in the 18th century composed songs about the Christian experience in songs such as "Come, Thou Long Expected Jesus" and "Jesus Christ is Risen Today." Some credit Watts and Wesley for laying the foundation for Christian music today. The Catholic Church began including music besides the Gregorian Chants by adding their style of hymns such as "Come Holy Ghost" and "Holy God We Praise Thy Name" in the 19th century. At this time, Gospel Music Hymns such "Do Lord" of which the author is not known, emerged and these songs of praise were very popular in the revival meetings. look inside The Art of Hymn Playing: 250 Introductions, Preludes, Free Accompaniments, & Alternate Harmonizations 2nd Edition Composed by Charles E. Callahan Jr. (1951-). This edition: 2nd edition. Minimal Pedal, Bestseller, Hymn Intros/Reharmonizations. Catholic Year A Pentecost Sunday. Ascension, Reformation, Lent, Easter, Passion/Palm Sunday, Trinity, Christmas, Ash Wednesday. Published by MorningStar Music Publishers (MN.10-597). In the 20th century, writers supporting different movements continued to create Christian hymns. The Pentecostal movement popularized the black Gospel hymns that gained popularity with all races. The Jesus People movement in the 1960's and 1970's popularized songs such as "Alleluia" by Chuck Girard that initially the younger generation embraced and over time mainstream churches and their congregations accepted these hymns. Pope John the 23rd through the changes from Vatican II, opened the doors of the Catholic churches to guitar music and other instruments and hymns previously only heard in the Protestant churches. Throughout the latter years of the 20th century, popular and lesser known musicians and writers continue to create songs praising the Lord, culminating in the 1990's with the Internet which allows Christians around the world to share their music. 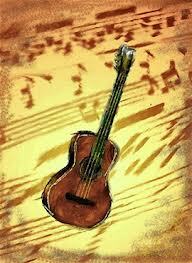 The Internet provides the opportunity of exchanging and spreading the Word of God through words as well as music. look inside Favorite Hymns Of Praise This edition: Pew edition (rich maroon). Collection. General Worship, Sacred. Hymnal. Hope Publishing Company #850. Published by Hope Publishing Company (HP.850). For over 2000 years, Christians have been singing the Lord's praises in all different languages and styles. Christian hymns are as diverse in style as the many believers who raise their voices in song to praise the Lord, Our God. It is the very variety of the songs of praise from all over the world, from the Americas to Asia through the Holy Lands that add beauty and emotion to the worship of the Lord. Award-winning kids animated bible stories on DVD that will teach quality Christian values to your children.